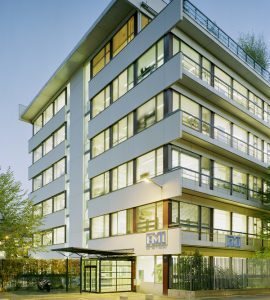 I am very excited to start my research group at the FMI in Basel, Switzerland in June 2019. My group will conduct research on learning and memory at the intersection of computational neuroscience and machine learning. The lab will be embedded in the exciting, collaborative environment of the existing neurobiology groups at the FMI. More information on our lab website zenkelab.org. I am currently looking for potential candidates who are passionate about neuroscience and computation. To tackle the problems we are interested in, we often have to be creative and apply analytical and computational tools from other areas. This creative mix includes, but is by no means limited to: dynamical systems, control theory, and machine learning. Ideal candidates should be curious about the neural underpinnings of computation and learning, but should also enjoy taking on difficult math and coding problems. There are currently several PhD positions with competitive salaries available in my lab starting from June 2019. PhD students will work on projects centered around plastic neural networks and will typically be involved in at least one experimental collaboration. If the above applies to you, and you would like to work and learn in an international and interdisciplinary environment, please consider applying. Applicants will go through the FMI PhD program selection process. Application deadlines are on Nov 16th and May 1st with the associated hiring days in late January and June, respectively. Questions? Please get in touch with me or contact Elida Keller. Note for applicants: When applying under “Specific Scientific Interests” my name currently does not show up in the drop down menu. Instead select “Keller, G.” twice and indicate your preference in the field below. I am always looking for apt candidates who are interested in an internship, a master thesis or a post-doc. In case you are interested, I am always happy to discuss.